The original Morris Animal Refuge, which started out no-kill but was unable to remain no-kill after taking the Philadelphia animal control contract in 1874. The origins of no-kill dog and cat sheltering may be traced back as far as 1858, when Elizabeth Morris and Anne Waln cofounded the first animal shelter in the U.S. on the outskirts of Philadelphia. The Morris/Waln collaboration has two surviving direct descendants, the Women’s Humane Society and the Morris Animal League, but their attempt to operate without killing animals failed soon after they and Carolyn Earle White took over the Philadelphia animal control contract in 1874. Many other no-kill animal shelters were founded during the next century-plus, including the still extant Bide-A-Wee Home, begun by Florence Kibbe in New York City in 1903, and the Be Kind to Animals Rest Farm, operated by James P. Briggs at Potomac, Maryland, from 1920 to 1932, ancestral to the National Humane Education Society run by his widow and descendants since 1948. Before there could be a successful no-kill movement, however, the techniques of combating dog and cat overpopulation without high-volume killing had to be perfected. The basic components were high-volume, low-cost dog and cat sterilization; neuter/return, to help keep dogs and cats at large from breeding back up to the carrying capacity of their habitat as their numbers decline; and high-volume adoption, to find homes for the animals who still come to shelters or can be removed from feral colonies. Anna Briggs, widow of Be Kind to Animals Rest Farm founder James P. Briggs and herself founder of the National Humane Education Society. The standard dog and cat sterilization surgeries were approved by the American Veterinary Medical Association in 1923, but did not become affordable for most pet-keepers until Friends of Animals in 1957 opened the first low-cost sterilization clinic in the U.S., at Neptune, New Jersey. Watching from across the Hudson River, the American SPCA in 1968 began sterilizing animals before adoption, at instigation of Lloyd Tait, DVM. Mercy Crusade, of Los Angeles, in 1973 opened a similar clinic that a year later would host the first city-subsidized sterilization program in the U.S. Working for that clinic, Marvin Mackie, DVM, developed high-volume sterilization. The Animal Foundation of Nevada in 1989 opened a clinic in Las Vegas, using Mackie’s methods, which popularized high-volume sterilization by doing more than 10,000 surgeries per year. Circa 1970, barely 10% of pet dogs in the U.S. and 1% of pet cats had been sterilized. More than two-thirds of all pet dogs and cats were sterilized by 1990. That left homeless animal reproduction yet to deal with. Overseas organizations showed the way. Chinny Krishna & Amala Akkineni, of the Blue Cross of India and Blue Cross of Hyderabad. The Blue Cross of India introduced neuter/return control of street dogs in 1964. Concerned individuals throughout the world began quietly sterilizing both street dogs and feral cats, often opposed by mainstream humane societies. Circa 1983 the British-based Cat Welfare Society and Universities Federation for Animal Welfare began openly promoting neuter/return of feral cats, soon followed by the Kenya SPCA, but neuter/return did not gain a strong voice in the U.S. until Alley Cat Allies formed in 1991. Many other advances toward achieving no-kill took almost as long to catch on. Early-age sterilization advocate Leo Lieberman, DVM, for example, was only vindicated after decades of debate in 1993, when the Massachusetts SPCA endorsed his claims with a major peer-reviewed study conducted at Angel Memorial Hospital. The American Veterinary Medical Association approved early-age sterilization soon thereafter. It is now the standard approach to ensuring that adopted animals never breed. High-volume adoption was another hard sell. The Long Island-based North Shore Animal League and Petco Inc. showed the way, but had to find the way first. Incorporated by Marianne H. Sanders on May 1, 1944, to bid for the Town of North Hempstead animal control contract, in competition with laboratory suppliers, North Shore won the job by subsidizing the work with thrift store proceeds. Sanders sought from the outset to maintain a no-kill policy for healthy dogs. Cats arrived only when North Hempstead residents brought them. The cats were killed, at first, but within a year Sanders started a cat adoption program. North Shore rehomed 73 of 342 dogs handled in 1946, an outstanding rate by the standards of the era. By 1956, serving seven of the nine Great Neck villages, North Shore managed to return 250 dogs to their homes, adopting out 308. Sanders stepped down in 1957 and retired to California, but returned to help the shelter in the early 1960s. As the Long Island human population grew, North Shore had to choose between being no-kill and doing animal control. It gave up the animal control contracts, at huge loss of revenue. A decade of leadership instability and struggling from crisis to crisis ended with the 1969 election to the North Shore board of Alex and Elisabeth (Babette) Lewyt. Alex Lewyt was among the most prominent entrepreneurs in the U.S., featured on the cover of the March 1950 edition of the popular magazine Collier’s, and profiled in 1953 by the business publisher B.C. Forbes & Sons in a volume called America’s 12 Master Salesmen. Wife Elisabeth Lewyt meanwhile demonstrated a keen eye for art purchases that appreciated in value, many of them later donated to major museums. Elisabeth (Babette) Lewyt & dogs. The Lewyts shocked the humane establishment with simple innovations. One of their first realizations was that since a shelter could only house so many animals, saving the most lives dictated housing only those with the best adoption prospects. They stopped accepting animals from the public and instead began taking adoptable animals whose time was up from the local animal control agencies. The Lewyts were also among the first to raise funds for humane work through high-volume direct mail. Soon after the U.S. Postal Service was privatized in 1969, introducing bulk mail presort discounts, Alex Lewyt brought in experienced direct mail help from Reader’s Digest, headquartered nearby on Long Island, and introduced a sweepstakes fundraising promotion modeled after Reader’s Digest‘s own. Yet another Lewyt innovation was paid advertising. Starting in 1969, North Shore ads featuring celebrity spokesperson Perry Como appeared in both print and electronic media throughout the New York metropolitan area. Other celebrities eventually also lent their help. Como was far from the first celebrity spokesperson for humane work. Author Jack London lent his name to the Massachusetts SPCA more than 60 years earlier. Baseball star Babe Ruth promoted dog adoptions for the American SPCA more than 40 years earlier. Shirley Temple made appearances for the American Humane Association in the 1930s. 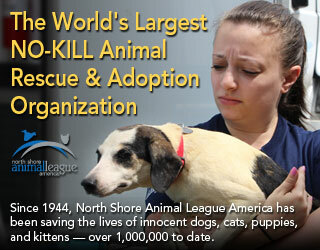 But never before had a humane organization paid to advertise adoptions, in competition with pet stores and breeders. Conventional humane societies fumed that North Shore was treating animals like commodities–and killed more than a quarter of a million dogs and cats in New York City per year, plus another quarter million in nearby suburbs. Some North Shore experiments failed. Merchandise giveaways to lure the public into the shelter, for example, were a longtime winner in the retail sector that did not work well in pet promotion despite repeated attempts. The exception proved to be giveaways of items that new pet keepers would need, such as collars, bowls, leashes, and litter boxes. 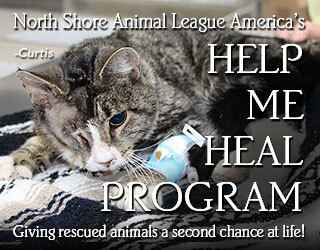 North Shore in 1996 hired 10-year ASPCA humane officer Mike Arms as director of shelter operations. Now heading the Helen Woodward Animal Center in Rancho Santa Fe, California, Arms in his 20 years at North Shore boosted adoptions from under 5,000 per year, which led the world, to a peak of 44,000. Arms also introduced adoption co-promotion with other shelters, including the annual spring Pet Adoptathon, now celebrated worldwide. After moving to the Helen Woodward Animal Center, Arms started the also global Home 4 The Holidays program. Thirty-one shelters participated in the shelter transport program by 1992. Humane relocation was attacked by North Shore critics as “relocating pet overpopulation,” but the numbers were soon clear: cities whose shelters participated were soon killing far fewer animals. Shelter killing in the New York City area meanwhile fell faster than anywhere else in the U.S. The Lewyts in 1976 co-founded the Northeast Animal Shelter, of Salem, Massachusetts. Operating two shelters so far apart proved impractical. An amicable separation followed. The Northeast Animal Shelter also pioneered adoption transport, beginning in 1990. Paul E. Jolly, 57, died in his sleep on March 8, 2014 after a long struggle with Lou Gehrig’s disease. A 35-year employee of the Petco pet supply chain, Jolly in 1999 became founding executive director of the Petco Foundation. Under Jolly the Petco Foundation raised and donated more than $110 million to U.S. animal charities. Compared to the Lewyt flamboyance, the Petco challenge to the established order was quiet. Starting in 1968, the San Diego-based pet supply chain displayed animals from local shelters, instead of animals from breeders. That approach was repeated in each Petco store as the company grew. There are now 740 Petco stores in 47 states, assisting as many as a million animal adoptions per year. Rival Petsmart, begun in 1987, combined ideas pioneered by both Petco and North Shore. Also operating more than 700 stores, Petsmart built miniature replicas of the North Shore adoption center at the front of each new franchise, and encouraged local rescue organizations to work together as a network in order to make maximum use of the store display opportunities. 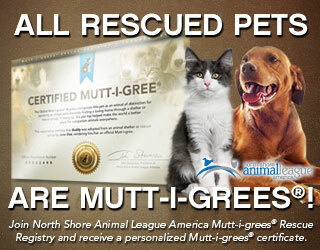 PETsMART and Petco were just the right vehicle to help breed rescue take off. The first Project Breed directory. Until the mid-1980s, dog fanciers often pretended that because most dogs who were killed were mongrels, dog overpopulation was chiefly the result of accidental or careless breeding, and secondarily the result of irresponsible pet-keepers, who neglected training. Only as the numbers of mongrels fell, with purebreds making up an ever-larger share of shelter intake, did “bad breeding” lapse from acceptability as an excuse for the deaths. Then, enthusiastically if belatedly, thousands of former breeders switched to breed rescue, redeeming their favorite breeds from death row, rehabilitating and retraining them as needed, and adopting them into homes in competition with the people who continued to breed. Shirley Weber, of Germantown, Maryland, listed 1,500 breed rescue contacts in the 1990 first edition of her Project Breed Directory, for 72 breeds of dog. The 1993 second edition listed 2,900, for more than 125 breeds. By then the American Kennel Club had begun coordinating rescues for all AKC-recognized breeds. That scarcely brought order to the growing chaos as the rise of the Internet enabled shelterless amateur rescue to expand from isolated individuals working in back yards into global networks of people doing all the work of no-kill shelters, including humane relocation, with no central coordination whatever. The closest approach to coordination is Petfinder.com, founded by Betsy Saul in 1996. Saul began posting pets available for adoption from 13 New Jersey shelters. By mid-2005, just short of a decade later, Petfinder.com facilitated adoptions for more than 8,700 shelters and rescue groups, displaying more than 190,000 animals at a time, helping to arrange placement of more than 1.5 million animals per year. With more than 159 million page “hits” per month, Petfinder had become the 84th most popular site on the Internet, according to publicist Kim Saunders, who cited data from the Hitwise web rating service. Petfinder.com, Petco, and PETsMART together enable almost anyone to do high-volume adoption. Shelterless fostering and adoption projects may now handle and help to place more animals in homes than conventional shelters, albeit often working in partnership with shelters and often either rehoming dangerous dogs who should not be rehomed, or hoarding large numbers of animals who have not been placed and for various reasons probably never will be. By recognizing those in the vanguard of efforts to realize our common stewardship of those who need our help, love, and responsible care, we can learn from their hard work and hopefully improve on their success. i liked the article but i truly believe that while large clinics and high speed and low cost were first and did pave the way it is the mobile that will in the end lead to less euthanasia…poor people make poor decisions and you literally need to go door to door and take the animal from their arms and do it for free or close to it…this is were the real battle is the small towns and the inner city areas that do not have easy access to low cost or availability..the big groups need to do more reaching out like the RAVS group but not on just reservations but once again the vet profession stands in the way..we are our own worse enemy and are very far behind on true animal welfare.. I agree that mobile S/N clinics have the potential to make all the difference in that hey can make themselves available to areas where the need is highest, especially where there are known stray and feral populations and people feeding and caring for that specific demographic of cats but who cannot afford the vet fees or have any contact with a vet clinic at all; we have long known that the cat overpopulation crisis exists because of the stray and feral communities of cats (estimated where 80% of the problem is!) so we need to stop focusing on and describing the problem almost exclusively in terms of PET CATS or OWNED CATS ; and it has also been long known that much more focus needs to be on spaying and neutering these community cats through such programs as TNR as many of these cats will not be adoptable and hence shouldn’t be “rounded up” and taken to shelters in the first place; quite frankly and simply stated, ADOPTIONS ALONE, regardless of such factors as economics, resources or specific demographic area, will not in itself solve an overpopulation crisis or end the KILLING of otherwise savable animals(especially cats). Viewing the pet cat and feral cat populations as wholly separate targets for spay/neuter outreach is an oversimplification. Mortality is so high among feral cats in many habitats that the feral population would not survive without frequent replenishment, typically by people who dump pregnant females or females with litters, or allow unaltered pets to roam, so that they become part of the local feral breeding population even if they are not feral themselves. Moreover, feral cats are so difficult to access in some habitats that if the goal is population reduction in those places, it is actually more effective to focus on sterilizing the pet cats in the surrounding area and thereby try to ensure that any free-roaming or abandoned cats who join the feral population are already sterilized. Excellent article. I love history! Regarding neuter and release of feral cats. I participated in one of those programs in the Northern California. I remember meeting one of the volunteers to get traps. At her house her garage was filled with crated cats. Probably hundreds. Not surprisingly within a year she was charged with hoarding. The cats, a mother and three daughters, after neuter and release,, all died within a year. Life on the street is rough, and I often wonder if euthanasia would have been the kinder option. No, but you would not be writing this article if Winograd had not sparked the issue. Ed Duvin also wrote long ago decrying the fact that “humane organizations” were in the business of killing. Ed Duvin published his much noted but scarcely unique Humanelines critique of animal sheltering in 1987. The San Fransisco SPCA had already begun transitioning to no kill in 1984, using the techniques already pioneered by the North Shore Animal League since 1969. Nathan Winograd joined the Stanford Feral Cat Project as a volunteer in 1988. I was keynote speaker at the first no kill conference in 1995, held about a year before the Best Friends Animal Society reincorporated as an animal charity and began teachin their version of no kill technique. Nathan Winograd was never a participant in the original no kill conference series, held annually with North Shore Animal League funding through 2005. He only briefly participated in the No More Homeless Pets conference series, hosted by Best Friends annually since 1999. Winograd founded his No Kill Advocacy Center in 2006, by which time there were more than 600, former open admission animal shelters already following the North Shore Animal League, San Francisco SPCA, and Best Friends models.